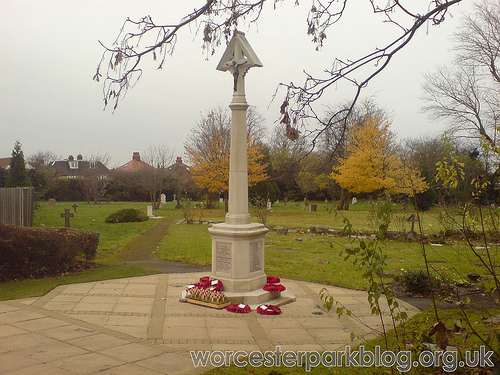 It has stood for almost a century in tribute to the town's war dead, but today this is all that remains of Worcester Park's war memorial after it was destroyed by contractors working for Sutton Council. 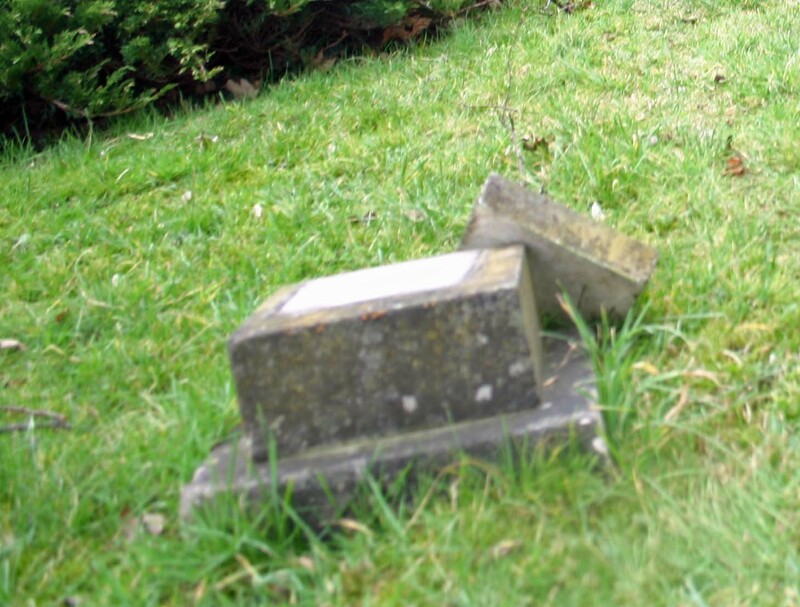 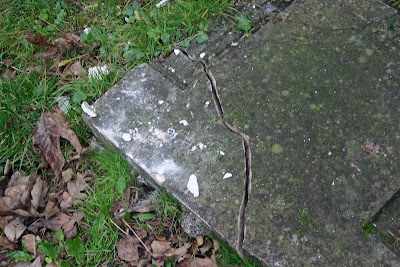 Local residents who found the smashed memorial yesterday morning at first feared that it was the work of vandals, but it was soon realised that the real culprits were tree surgeons who had been working in the cemetery on Thursday afternoon. 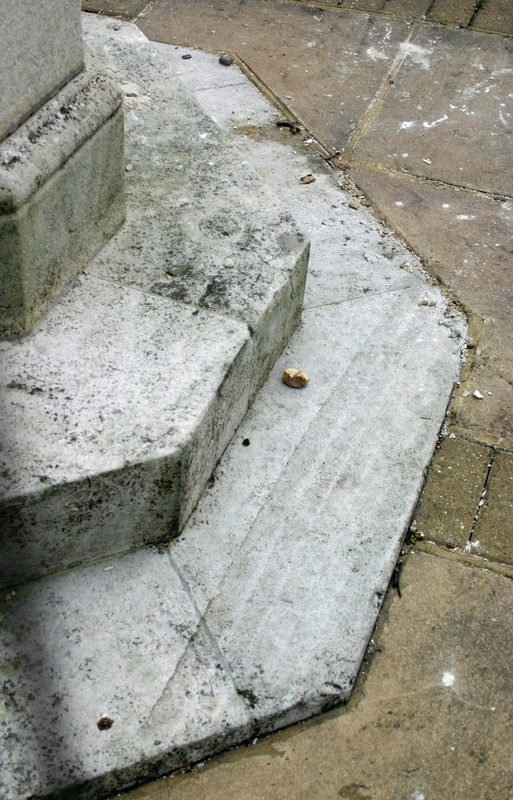 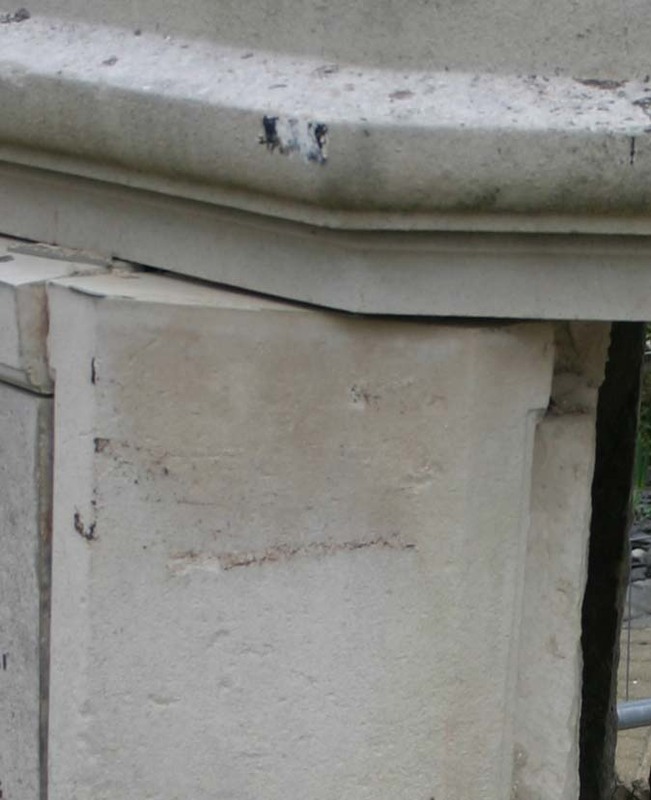 Tyre marks at the base and gashes on the side of the plinth show how the contractors' lorry smashed into the side of the memorial as they drove away from the site, sending much of the stonework toppling to the ground, smashing a nearby gravestone as it fell. 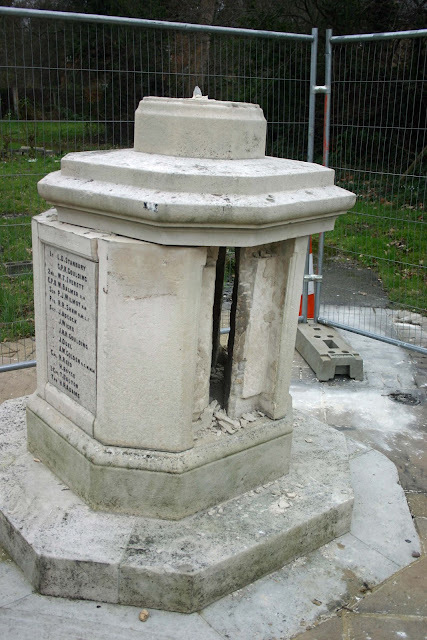 All but one of the stone tablets at the side of the memorial, which were engraved with the names of Worcester Park's war dead, were sent crashing to the ground by the force of the collision. Tyre marks in the grass show the path that the contractor's vehicle took, and closer inspection by the Worcester Park Blog today has revealed a further trail of destruction left by the tree surgeons as they drove over gravestones and memorials to get to the rear of the cemetery where they were felling a tree. 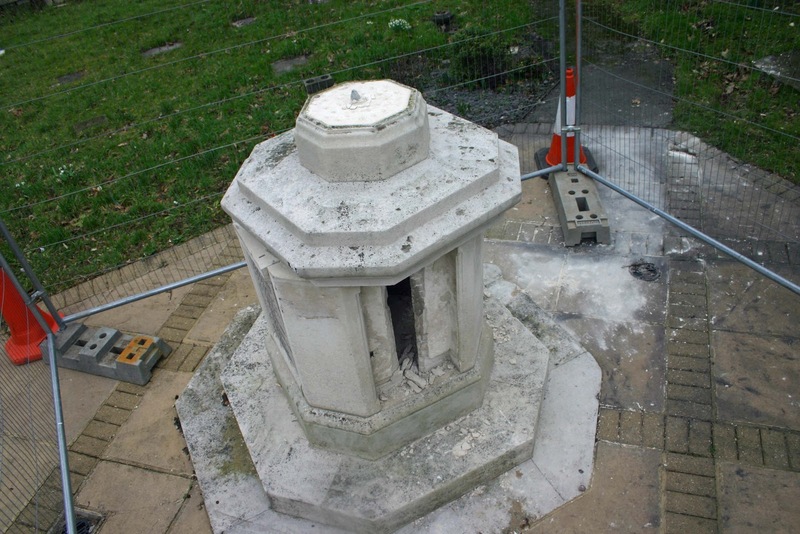 It is not known whether the contractors reported the damage, but Sutton Council has confirmed that they will be held responsible for the costs of repairing and restoring the memorial. "I commend the vigilant resident who witnessed and reported spotting the tree fellers in the vicinity of the war memorial. 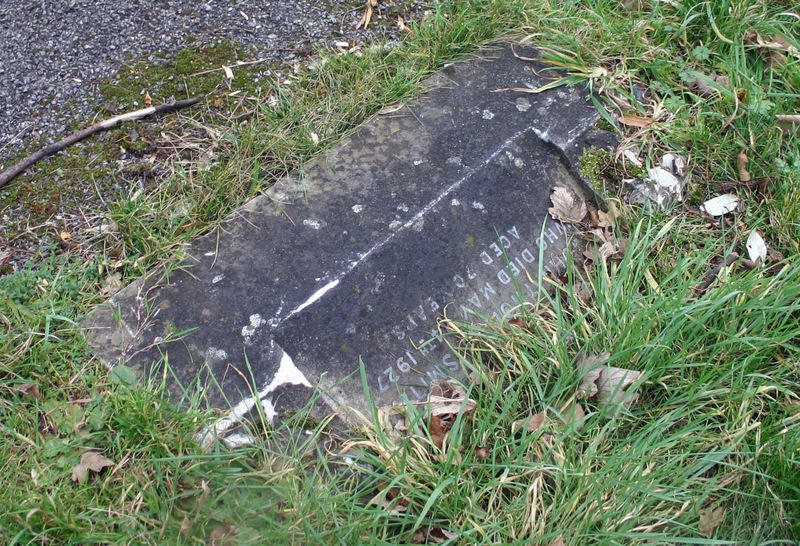 As an ex-servicewoman, it is extremely difficult to understand how disrespectful anyone can be regarding fallen war heros. 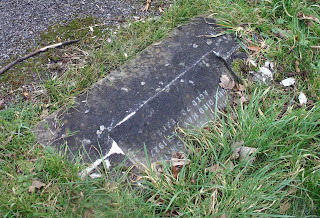 At least precious time has been saved now that the need to look for the culprits have been spared. 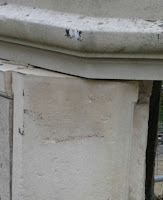 No need to name and shame them - in this present economic climate - they will pay through the back teeth with hard cash. Now it is up to the Sutton Council to decide whether they can afford to do business with such vandals."